It's populist and weighted towards Hollywood classics, so a few more foreign-language films would be nice (The Seventh Seal and Seven Samurai, at least), but otherwise this is quite a decent list. Note that Ben-Hur is the William Wyler remake rather than the Fred Niblo version. Also, Some Like It Hot is the 1959 comic masterpiece, not the obscure 1939 comedy. Coincidence is a small exhibition of observational photographs by Thai director Pen-ek Rattanarueng, taken while he was filming on location in various countries. 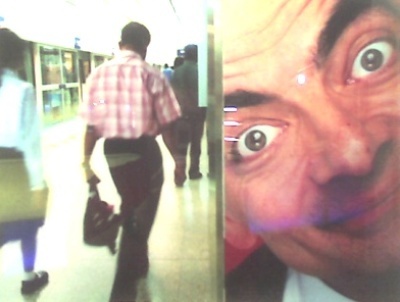 Many of the images capture incongruous advertising images, such as a poster for the film Mr Bean's Holiday. 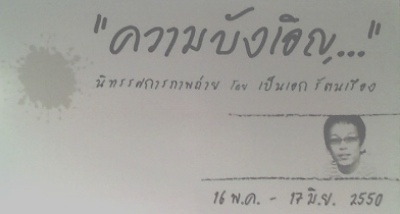 The exhibition is running from 16th May until 17th June at Siam Paragon.